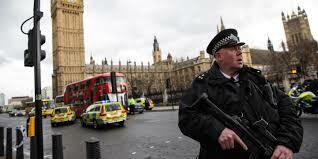 Following recent terrorists attacks in Manchester and London, is it not time for government to step up to the mark and put more effort into protecting the people of Britain? Holding candles and telling people to carry on as normal is not doing anything at all to ease the situation and as I am standing in this general election as a candidate for Poole, many people are quite rightly asking me what would I do… Well I would like to see far more being done, so here are my real thoughts on the matter! With immediate effect arm all police officers with at least a sidearm. If they cannot protect themselves, how can they protect the people? Give them all shoot to kill orders in regards to any terrorist incident. Arrest and detain anyone waving ISIS flags on our streets or openly promoting radical Islam. Random raids on mosques and faith schools throughout the UK and any that are found to be even slightly involved in any form of terrorist activity or radicalising young British Muslims, should be shut down instantly. The are 1000’s of terrorist suspects already on the watch list here in the UK. Stop watching them, round them up and interrogate them using lie detector equipment. Any found to be radicalised need to be either deported or locked up immediately. Ban the use of the term Islamophobia in all media, the word does nothing to help matters, it only helps the radicals to grow in numbers. Call it what it really is, Jihadiphobia and then we might actually see Muslim and Non-Muslim fighting together against a common enemy. Immediately withdraw all support for the rebels in Syria and bring our troops home. We should have learned from Iran and Iraq that deposing Arab leaders does no good whatsoever! As radical Islamist’s are using their own interpretation of the Quran as an excuse for their own evilness, start using the Quran against them, show them where it clearly states that it is forbidden for them to settle in Kaffir lands. Then see how much they want to stick to their true beliefs. Offer rewards for the successful conviction of those involved in any form of terrorism or radicalisation here in the UK. There is so much that our government should have been doing but for whatever reason have chosen not to, it is now well overdue for the powers that be to start doing far more to combat this clear and present danger of terrorism. The first rule of government has to be the protection of the British people and I sincerely hope that the new government that will get elected on Thursday 8th June will put this at the top of the agenda, where it should be. We have to do all we possibly can to make our streets safe so that people can enjoy quality of life here in Britain and quite obviously at the moment, we simply are not doing enough. Time to get tough on terrorism! Hi Penny, I have looked very closely at the Labour manifesto and the figures simply do not add up and due to the fact they keep on wheeling out Dianne Abbott I can only presume that Labour do not want to win this election but at the end of the day, your vote is entirely down to your choice. Here in Poole I think that people only have two real choices and they are, vote for more of the same or vote for something different and I am that something different and if I am successful I will not only go into parliament to shout for the people of Poole, I will also go into the Council offices and ask what the hell is going on. Unlike the incumbent MP we have had here for the past 20 years, I believe that local issues is something for an MP to get involved with. I couldn’t agree more, although we are up against not only the terrorists and lack of government action but an over arching agenda in the Middle East, we are given two choices really in the election good cop or bad cop. divide and concur! It isn’t as hard as it sounds all they have to do is pump people full off assumptions and manipulate the mass minds with he Media they own. let a few radical issues slip through the net, funded by our “allies”, its a total and utter joke what is happening in the name of the British people, int he name of the Muslim people and in the name of Democracy! The monopoly of the media needs to end otherwise u will forever have the choices and agenda laid out for us! I dont know everything but there is much to do, now for justice, peace and a real democratic society! We cause oppression and have done our dealings in the past that are coming back upon us & the United states, not to say Arabia and Israel!! We need to build a system where we acknowledged the wrong paths our country have taken, fix the massive issue with media that is consuming the minds of our society ( Especially Gen X & Gen Y). Look forward to seeing more of this organisation you are creating, potentially collaborate in some terms along the way! The system we need is Direct Democracy because that will enable us to once again start learning from each other rather being forced fed information through the media. Unfortunately, it seems people are not quite ready for Direct Democracy just yet, probably due to the media telling them it will not work. However, I have not given up hope and recently created http://www.politics-uk.co.uk which is a political debate platform in the UK that is open to anyone, regardless of their own political leanings. Hopefully, this will entice people to start putting their heads together in reasoned debates.